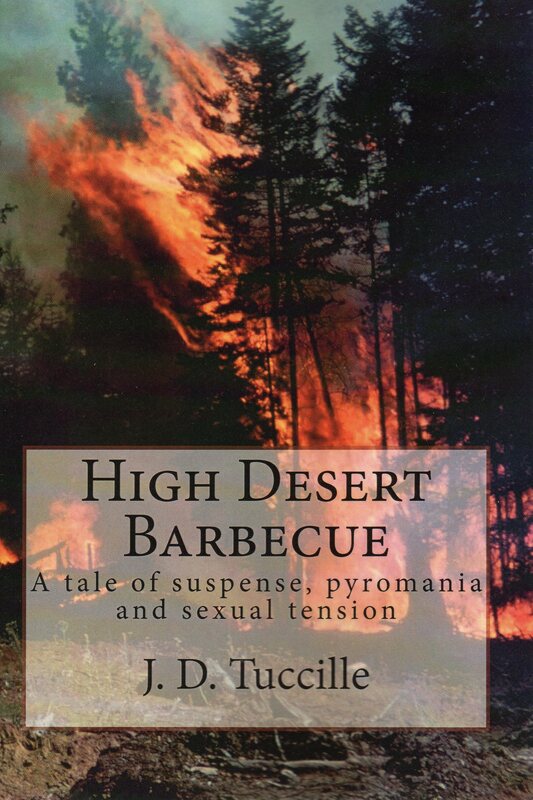 Conspiracy, arson and ineptitude threaten the desert West, and only a misanthropic hermit, a subversive schoolteacher and an unemployed business writer stand in the way. "J.D. 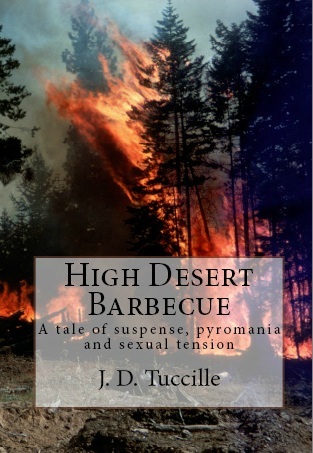 Tuccille’s first novel, High Desert Barbecue, is a great read. Filled with likable characters, tons of humor, and a nice sprinkling of libertarianism throughout, its breezy style makes it an easy story to pick up and get into." "I think the best word to describe the book is ‘fun’. The peculiar characters and the humor they create fit perfectly with the lean style and fast story. It is equal parts prose that Kurt Vonnegut would approve of, eccentricity like you might find in a Coen brothers dark comedy, and libertarian morals embracing the permissive side." "[A] rowdy, rollicking adventure in the best tradition of Edward Abbey (think The Monkey Wrench Gang but … well, turned on its head)." "[B]reezy tone and brisk pacing carry the reader along a novel that combines action and satire the whole way through." "[A] very polished novel. The plot rolls smoothly forward, propelled by multiple shifts of perspective, and by a careful balance between narrative and libertarian preaching." -- Sean Gabb, author of The Churchill Memorandum and (as Richard Blake) the excellent Aelric historical-novel series. "I found the way his protagonists dealt with their dilemma quite easy to follow, and the story delightful." -- Joel Simon, author of Walt's Gulch and Songs of Bad Men and Good. Living as a squatter on public land, Rollo has long waged a personal war against the Forest Service, so it’s little surprise when rangers burn him out of his latest shack. But when Rollo is subsequently blamed for a disastrous wildfire, he seeks help from his close friend, Scott, an anarchically minded outdoors enthusiast, and Scott’s girlfriend Lani, who dislikes Rollo but shares his distaste for authority. While investigating a suspicious new forest fire, the trio interrupts a bizarre but vicious gang of environmental terrorists. Chased through the canyon country of northern Arizona, Rollo, Scott and Lani must rely on their wits and skills to survive. Just steps behind, their pursuers compensate for incompetence and sexual eccentricity with fanaticism and official connections. Hanging in the balance is the fate of human habitation throughout the West -- or maybe just peace and quiet in downtown Flagstaff. Musings on the nanny state, stupid government tricks and related topics. A stay at home dad stumbles through our strange, new world. Copyright 1999 - 2017 Jerome D. Tuccille.